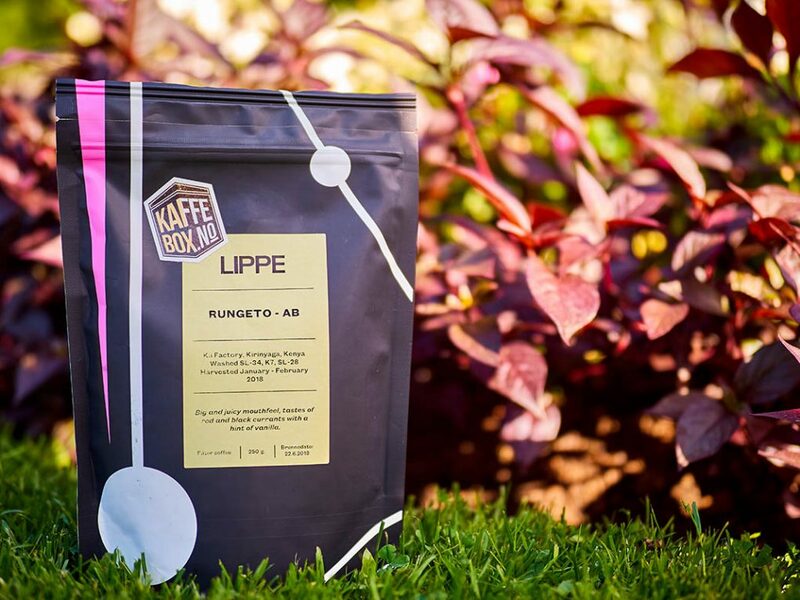 Part 1 for KaffeBox July 18 Box, in this post I’ll only write about the Kenyan coffee Rungeto from the coffee roastery Lippe. In the previous post, you’ve been able to read about the coffee and also what I expect from the coffee. In this part, I’ll share my recipe for an awesome pour-over and Espro travel press as usual. At my cupping of Lippe – Kenya Rungeto I found that the acidic tones were highlighted as best when the temperature cooled down to around 60 degrees Celsius. You will find the notes from the black and red currant as best at that temperature, the vanilla is noticed as most at higher temperatures. I also want to know how good this coffee would be for a coffee, so it usually became a dark chocolate with sea salt. I understand that this can be a weird thing to try out, as almost all coffees are well matched with chocolate. But there are those who really don’t, and that may mean they are only preferred enjoyed on their own. For example: Do you like green tea with chocolate? I certainly do not. I thought that was okay, but I can add that this was good with cardamon buns, I tested it the other day. Lovely tones of black and red currants with a mild hint of vanilla. 2) 225g water in a circular flow (this includes 40g water blooming). This including 40 second blooming, your timing should be in 2 minute and 5 seconds. A typical coffee from Kenya, which makes me interested. Unfortunately, it did not have that high acidity that makes it proper Kenyan, but it was more on the balanced level, which is quite alright for those who might try drinking an acidic coffee for the first time. I know it can be too acidic to many people if they haven’t trained their palet for high acidic tones, so this is probably a perfect start! Lippe from Norway has shown great talent in making an interesting variety of Kenyan coffee, I know I described it as typical, but it’s still not as acidic as it should. It has a more balanced cup, which is so much better for French press than an acidic one. If you want to buy your very own KaffeBox and go through my recipes a?d reflections, be sure to order it so you can be ready for next month’s KaffeBox. Click here to order from their website. Use “kaffenytt” as voucher code, you’ll get 20% off your first purchase and I won’t get anything, this is only something I requested so I can give something to you readers!